Today’s flow jumps straight into movement, no messing around! So if it is a sweat that you are after, this is a good bet! 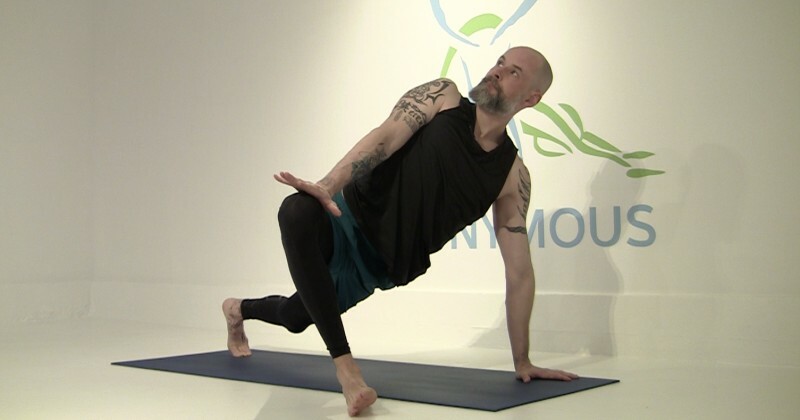 What to expect: Sun Salute A, Low lunge, Half Hanuman, Chaturanga with one leg lifted, Ardha Navasana with a twist, Full Navasana (Boat Pose), Runners Lunge, Pyramid Pose, Runners Twist, Side Angle Warrior, Warrior 2, Reverse Warrior, Triangle, Handstand and much much more! Enjoy Yogis!